The Jersey Boys stars show off their marinara handprints. 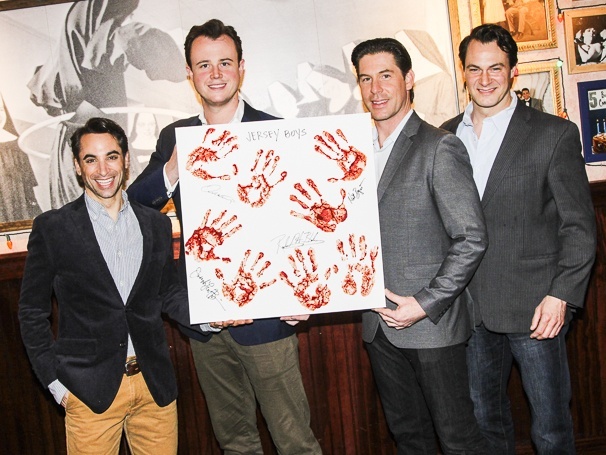 To celebrate the hit musical's 10th anniversary, Jersey Boys stars Richard H. Blake, Matt Bogart, Joseph Leo Bwarie and Quinn VanAntwerp and immortalized their handprints with marinara sauce at Buca di Beppo in Times Square on April 7, 2015. Click for photos!